Flat glass is an integral part of most automotive vehicles and is essential to Europe’s transport industry. Flat glass is used to make windscreens, backlights, windows and sun roofs for a wide range of automobile and transport applications, from cars to cruise ships and buses. 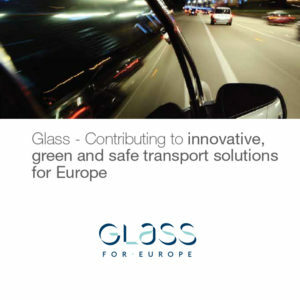 Europe’s glazing manufacturers are constantly striving to deliver products that provide the best possible technological solutions to meet automobile manufacturers’ and end-users’ needs from a comfort, safety and security perspective, whilst at the same time helping the industry to meet its climate commitments. Innovative high-tech glazing solutions have been developed to minimize heat gain in vehicles and offer thermal comfort all year around, to reduce vehicle weight through the use of lightweight glazing, to provide maximum visibility for optimum driving conditions, to integrate new features that enhance the driving experience and to safeguard the vehicle occupants in case of accident.